Small poster for a fundraising singing event. 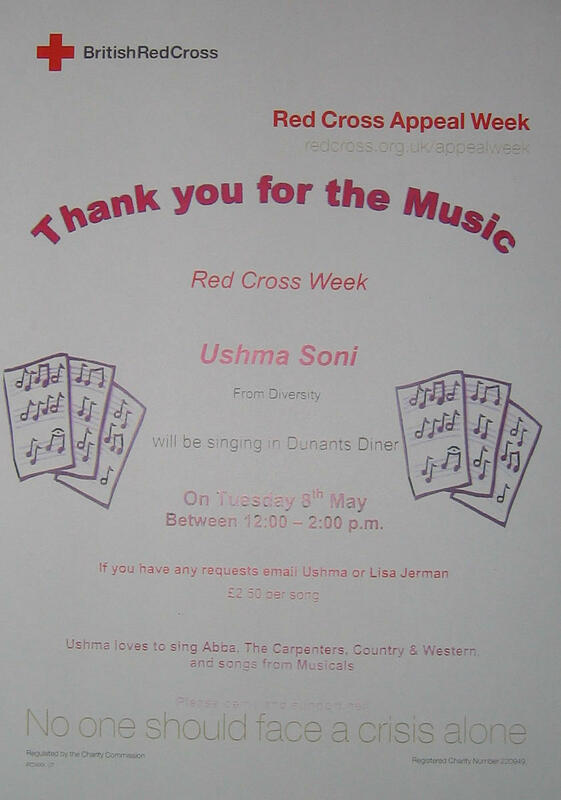 Ushmas Soni, Assistant Diversity Officer, will sing requests for £2.50 per song on Tuesday 8th May, in Dunant's Diner. This was held as part of the Red Cross Appeal Week events at UK Office.